Why Does My Paycheck Show No Federal Taxes Paid? How Much Federal Taxes Should Be Withheld? The Internal Revenue Service (IRS) requires your employer to withhold federal, Social Security and Medicare taxes from your wages. 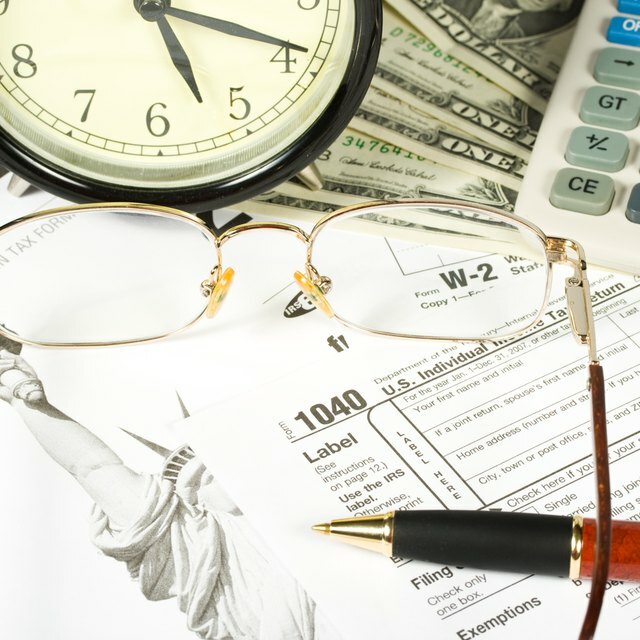 If you don't see federal income taxes deducted from your paycheck, your filing status, exemptions or allowances may be the reason. You can use the official IRS annual tax guide to find out how much money should be deducted from your paycheck based on your filing status, pay period and any deductions. This will allow you to possibly pinpoint the cause for a lack of deductions. If you are a new employee, your employer is legally required to give you a W-4 form to complete. You include your federal income tax withholding conditions, such as, filing status and allowances, on the form. Your employer uses your W-4 and the IRS’ withholding tax tables (Circular E) to determine federal income tax withholding. The IRS allows you to claim allowances on your W-4. For example, you can claim an allowance for yourself and each of your dependents. Each allowance gives you a certain sum, which lowers taxable wages. Consequently, the more allowances you claim, the less federal income tax you pay; the less you claim, the higher your tax withholding. Claiming exempt on the W-4 form also results in no federal income tax withholding. Additionally, electing additional federal income tax to be withheld from each paycheck on the W-4 increases the withholding amount. Social Security and Medicare taxes always apply, except in rare exceptions, such as, if you are a student who works for a school where you are also a student. What Does 'Allowances' on Form W-4 Mean? How Much Should Be Taken Out of My Paycheck for Taxes? Carefully examine your current W-4 form and adjust it accordingly if you want federal income tax to be withheld from your paycheck. Check Lines A through G of the W-4 to ensure you claim the appropriate amount of allowances. You can use the IRS online withholding calculator to determine if you need to submit a new W-4 form. The calculator shows you how to adjust your taxes to prevent underpaying or overpaying federal income tax. You should also check Line 6 of the W-4 to see if you opted for extra taxes to be withheld from your paycheck, and submit a new form if necessary. IRS Circular E gives the amount allowed per allowance based on your pay period. For 2018, the IRS gives $79.80 per allowance for a weekly payroll. Therefore, two allowances for a weekly payroll is $159.60 ($79.80 x 2 allowances); and two allowances for a biweekly payroll is $319.20 ($79.80 x 2 weeks = $159.60 x 2 allowances). To arrive at federal income tax withholding, your employer subtracts the total allowances amount from your gross wages. The result is your taxable wages. Your employer then uses the Circular E’s percentage method relevant to your taxable wages, filing status and pay period to figure the withholding amount. Your employer calculates Social Security tax at 6.2 percent of gross wages, up to the yearly wage maximum of $128,400. It calculates Medicare tax at 1.45 percent of gross wages. The reason for no federal taxes being withheld from your paycheck could simply be because your employer made an error in its calculation. Notify your employer immediately if this is the case.